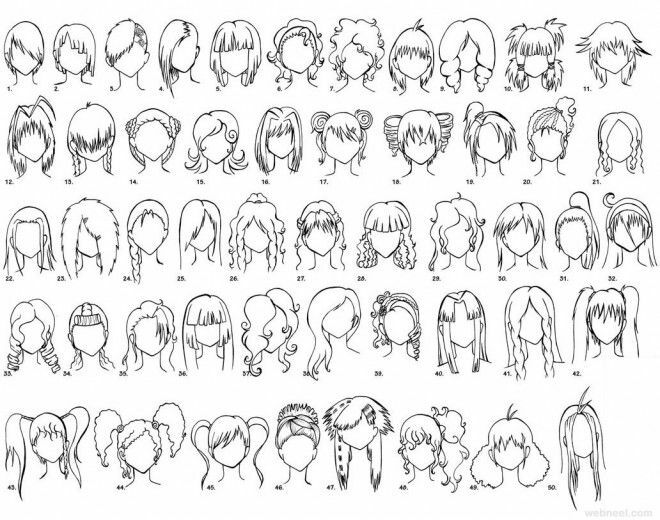 Like real hair, anime hair is composed of many strands. 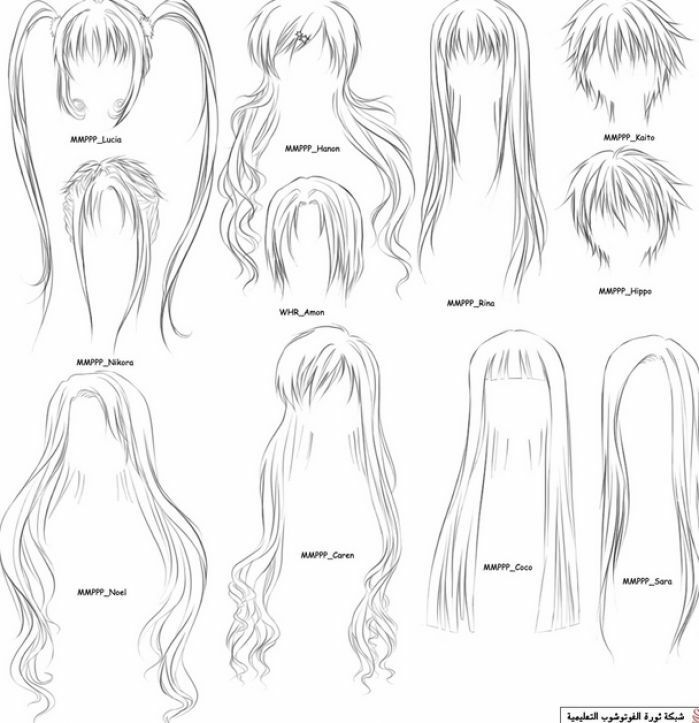 However, rather than drawing each individual strand, the hair is often drawn in various sized/shaped clumps, as shown here. 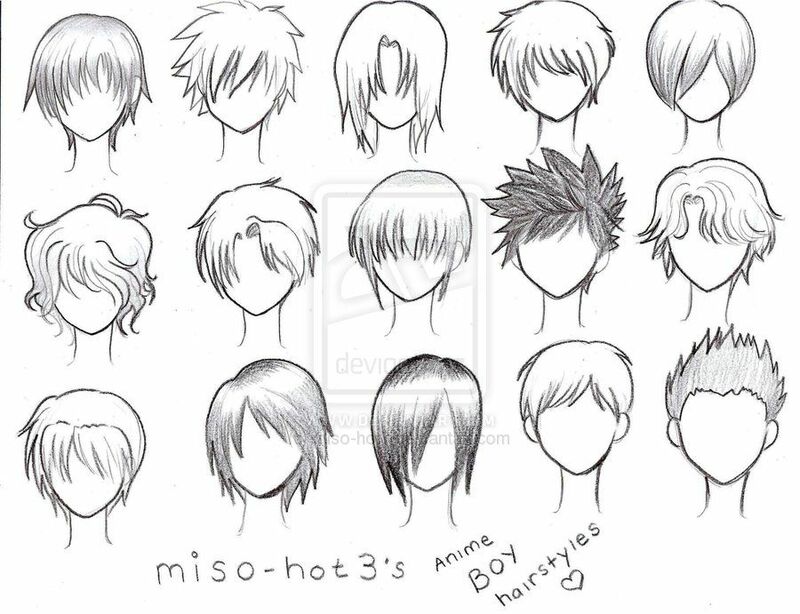 These are some of the simplest forms of each hair style. 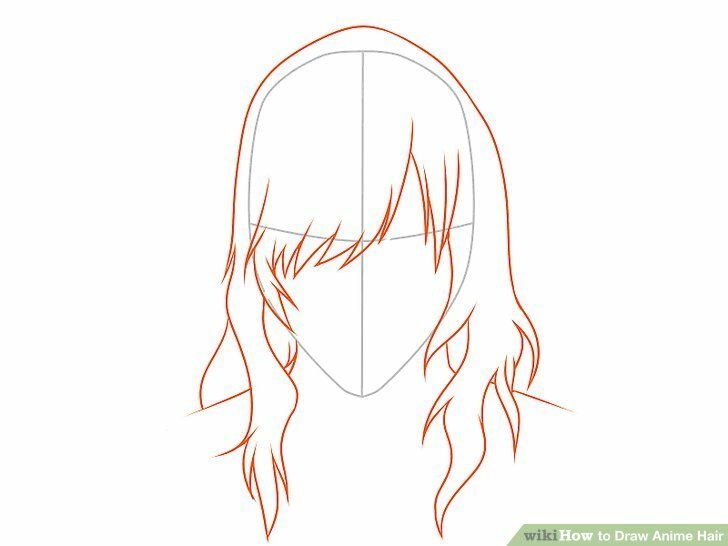 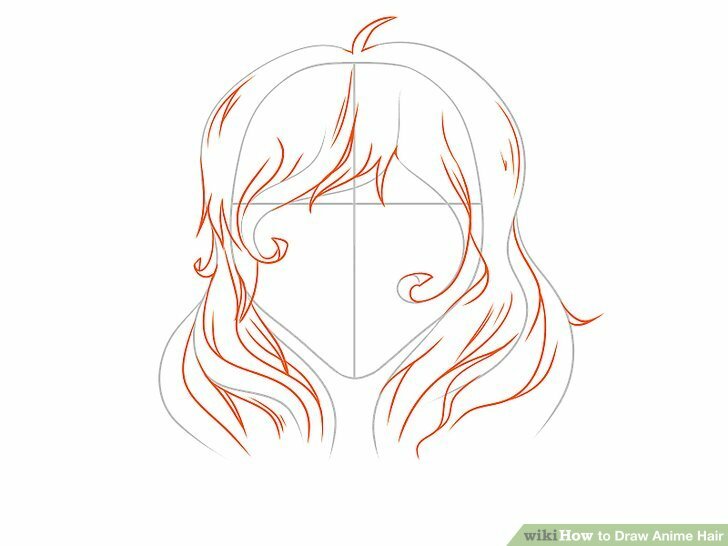 Notice that in most cases, the outline is more curvy on the bottom of the hair clump. 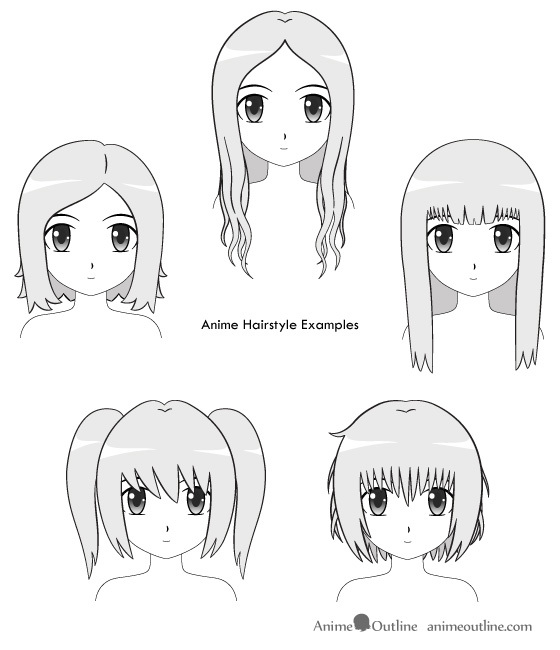 This is especially apparent on the top leftmost example; the lower line is curvier than the top line, giving the hair more depth and more of that anime-ish look. 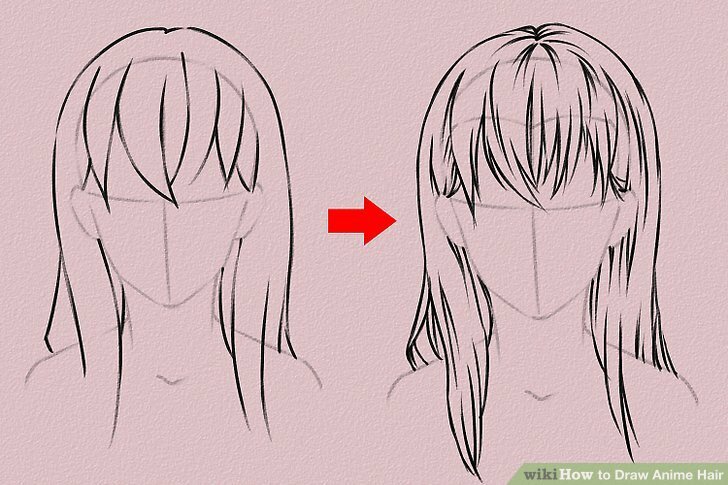 Sometimes this is highly exaggerated, and other times it is hardly noticable, but for most anime hair styles, each individual strand of hair will have this basic shape. 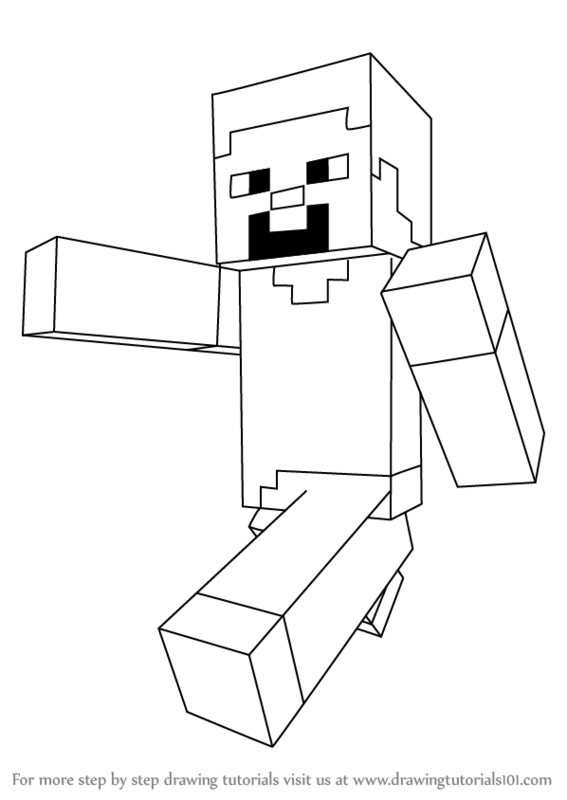 Now, we are getting into some slightly more complex shapes. 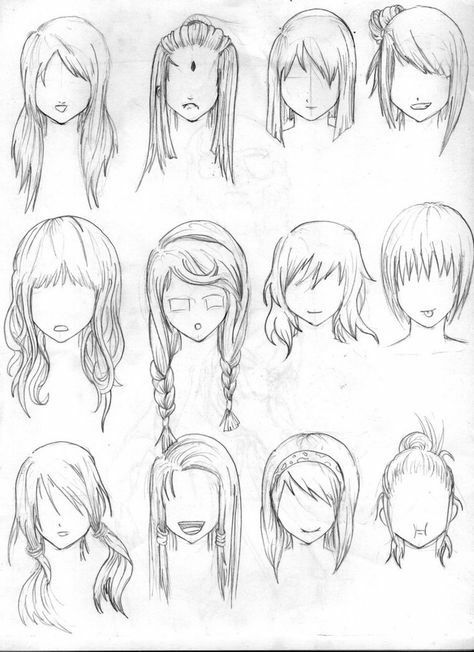 Notice how varying the size and shape of each strand gives the hair different character; the strands can be long and thin, thick and curvy, or sharp and spiky. 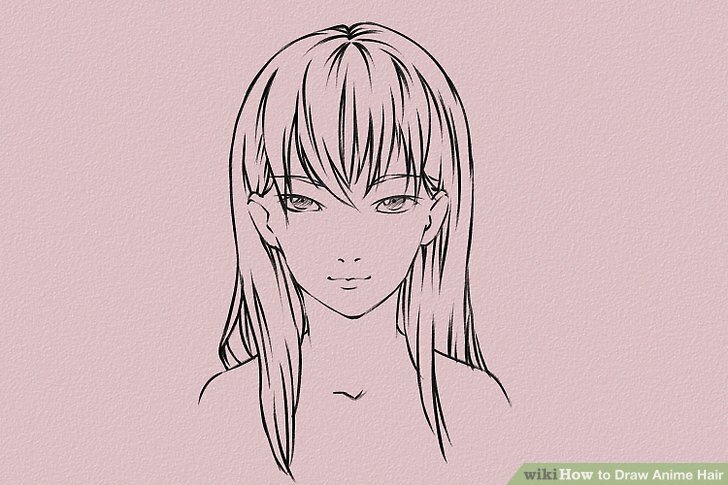 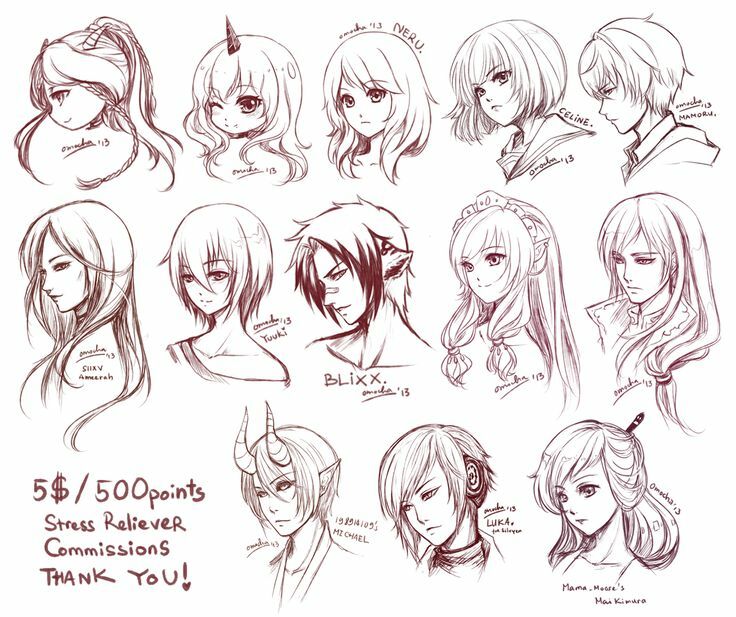 Again, notice that you can either make the hair very detailed, or very simple, depending on how many individual strands you draw. 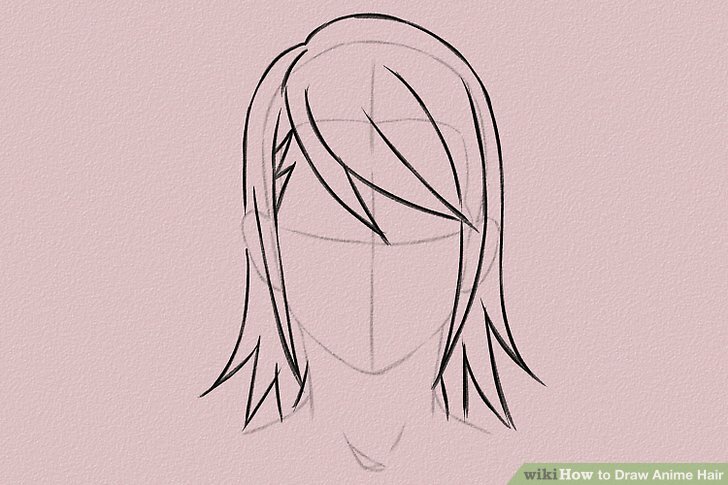 Once you know how to draw each strand/clump of hair, you can start putting them together to form more something that more resembles anime hair. 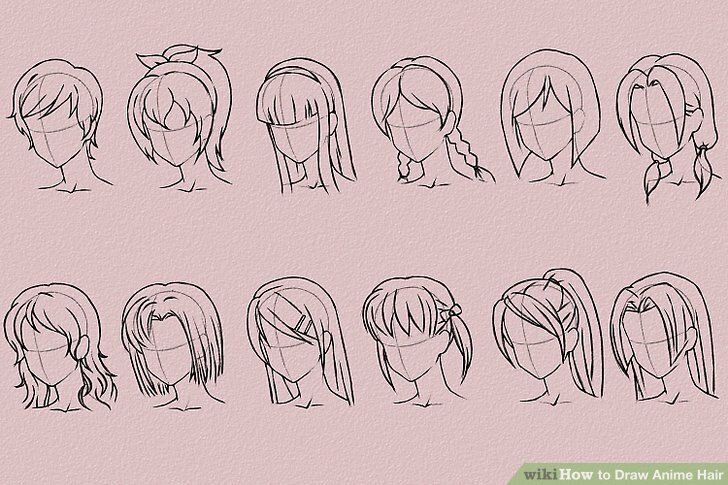 Look at each example here (well, except maybe for that one on the lower left; I’m not sure why I left that in), and notice how the basic strands from the first step are used. 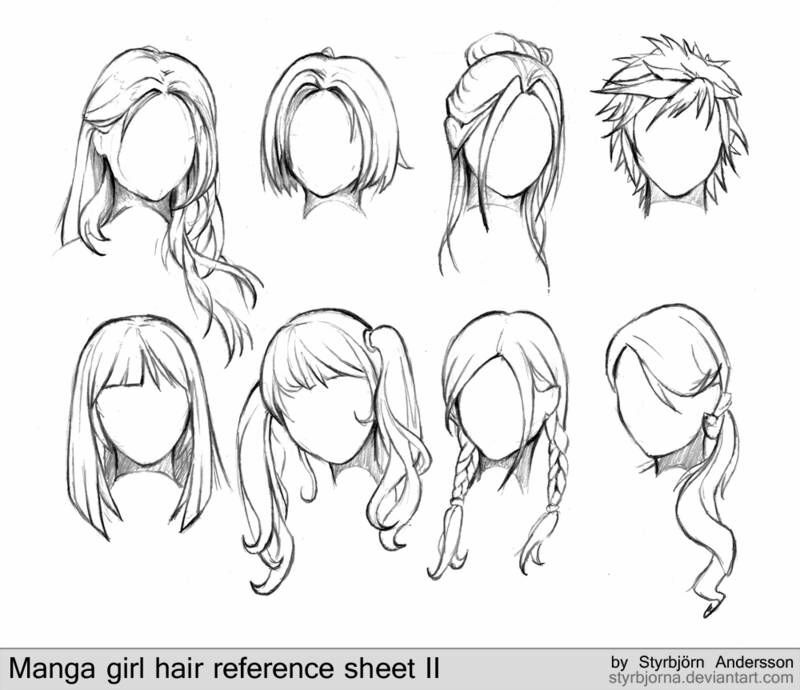 The same similar shapes generally persist throughout many different hairstyles. 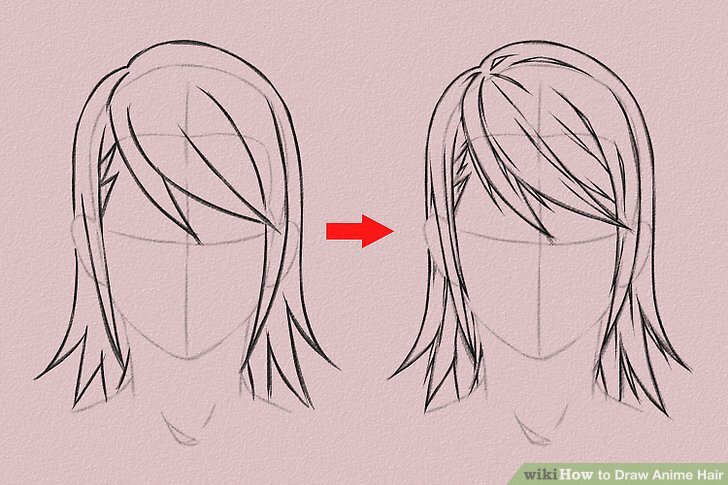 Making one line curve out more than the other on each strand can really help to flesh it out. 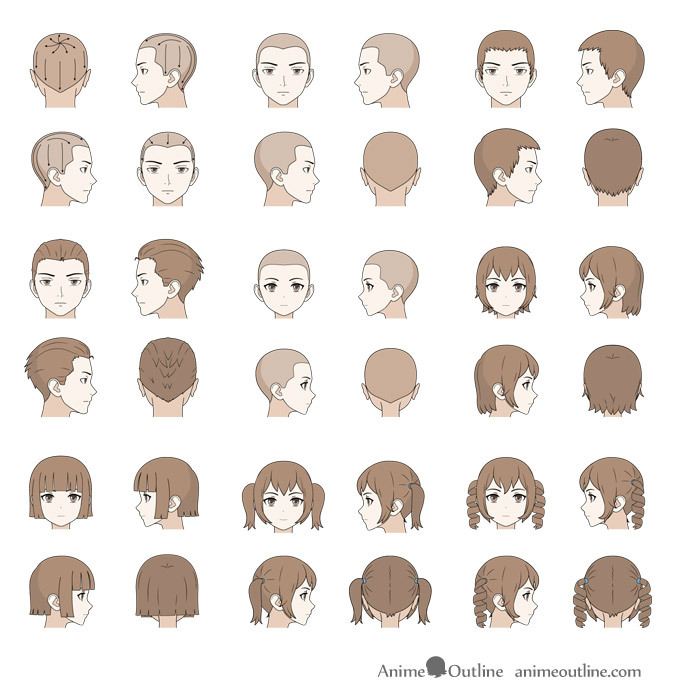 Depending on the style, anime hair can be very complex. 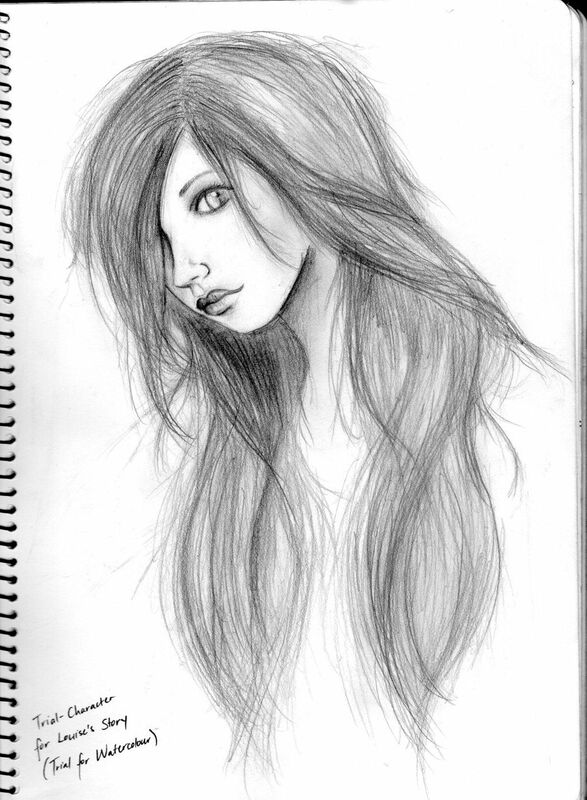 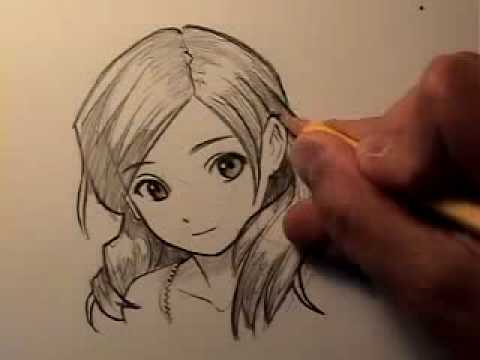 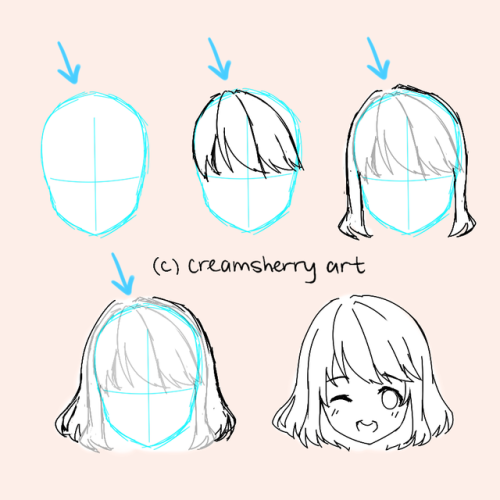 However, if you break it down into its basic components, the process of drawing anime hair becomes a little simpler.